The OnePlus 5 is getting a new software update that pushes users to OxygenOS v4.5.5. The update addresses some of the known issues like WiFi connectivity and voice recording. OnePlus has started rolling out a new update for the OnePlus 5 that brings fixes to some of the known issues. The new update detailed by Android Headlines brings WiFi connectivity and improvements among other stability fixes. The update is rolling out in the form of a staged rollout, pushing OnePlus 5 users to Oxygen OS v4.5.5. Apart from the Wi-Fi connectivity fix, the new update also brings improvements for voice calling. The changelog also mentions that optimisation for video recording, which now uses less battery and the vibration intensity while receiving call has been decreased. The update weighs in at 59MB and offers a few bug fixes as well. 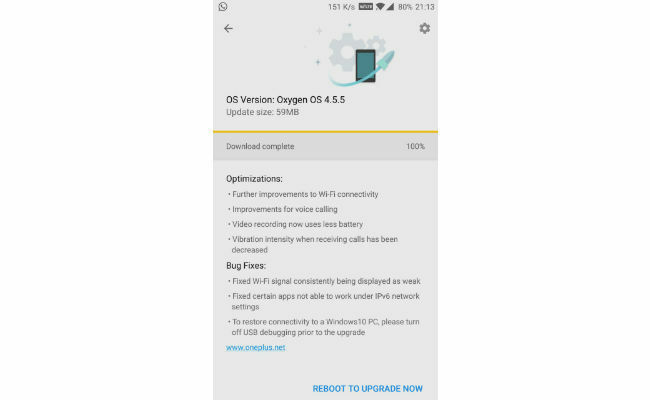 With OxygenOS v4.5.5, OnePlus has fixed the issue of Wi-Fi signal consistently being displayed and has also that of certain apps not being able to work under IPv6 network settings. The changelog notes that in order to restore connectivity to a Windows 10 PC, users will need to turn off USB debugging prior to the upgrade. 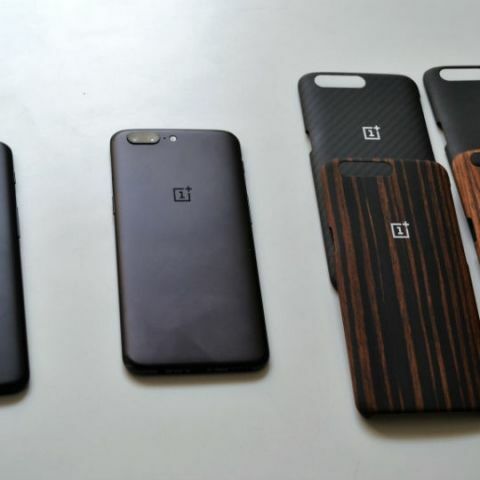 To recall, the OnePlus 5 was announced for global market on June 20 and was followed up with India launch on June 22. Since its launch, OnePlus was found cheating by increasing performance of review units when a benchmark software is started on the device. A recent report also showcased a strange behaviour called 'Jelly' scrolling effect where part of the feed fails to catch up with rest of the speed. An XDA report suggested that the issue is caused by inverted display but OnePlus has already dismissed it by calling it as natural. The update currently rolling out doesn't offer any fix to the 'jelly scrolling effect' issue. However, it must be noted that this is the second software update for OnePlus 5 since its launch. is samsung galaxy tab3 7.0 sm-t211 getting android update to kitkat 4.4.2?